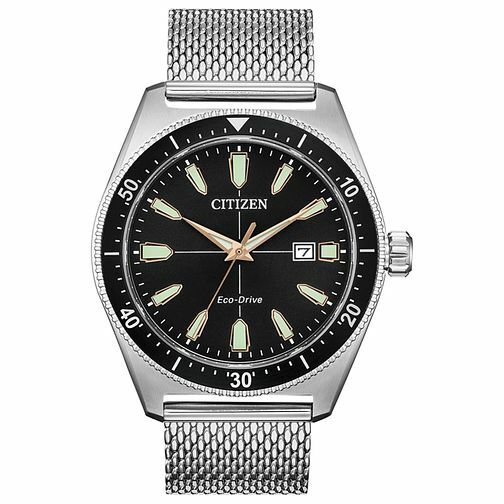 A sleek men's watch by Citizen, boasting a stainless steel case and contemporary mesh bracelet. The bold black dial features subtle gold tone hands and hour markers, accented with luminescent detailing for easy reading in all light conditions. A practical date display window also sits upon the dial at the 3-o-clock position. This watch is powered by award winning eco drive technology, and is water resistant up to 100 metres.